Learn the basics of weaving during a 3 hour workshop with Samantha of SKC Decorative Arts, a local Comox Valley fibre artist. 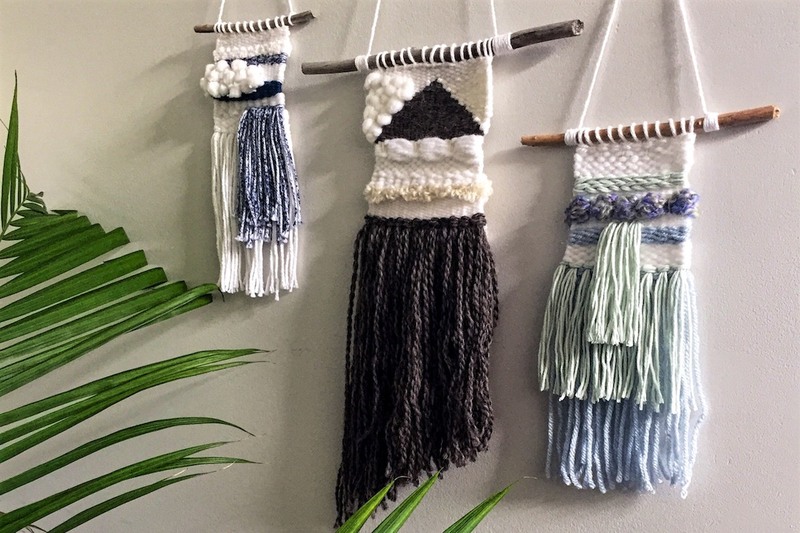 Create your own wonderful woven wall hanging in this beginners weaving class. We will learn on a small, handheld frame loom, how to start and finish a weave, simple and beautiful weaving techniques, and we’ll play with different fibres as we learn/explore the art of weaving! Come get your weave on! This workshop includes a kit with all of the accessories you need to start your weaving journey and you’ll leave with the skills and tools required to continue weaving at home! (Loom and tools are yours to take home after the 3 hour workshop). Open to adults of all skill levels.